connect and communicate in new and positive ways. The Edge of Leadership (EOL) program’s mission is to develop empowering leadership skills that can be used to help others, set positive examples, effect change and make a difference. Based on over 35 years of youth leadership programming, Edge of Leadership helps students (and their teachers) connect and communicate in new and positive ways, opening doors and improving school culture. 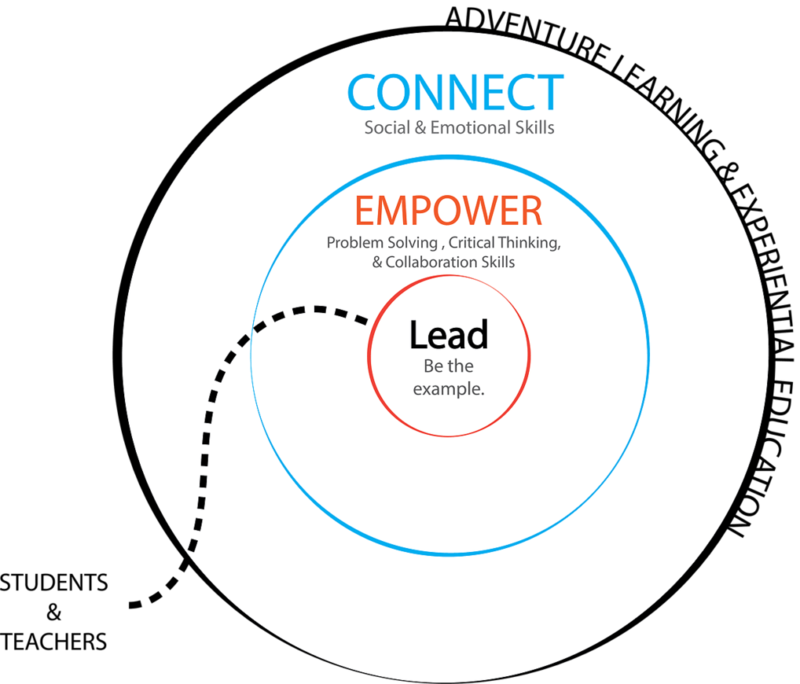 In the true spirit of adventure, Edge of Leadership is based on the belief that students, given the right encouragement, tools, and opportunity, are a powerful resource for bringing innovation and positive influence to the school community and to the lives of others. Developing new friendships and forming positive relationships. Experiencing, managing and expressing emotions, ideas and opinions. Regulating feelings of frustration and disappointment. Recognizing the needs and wants of others. Working as a self-directed learner. Managing projects while guiding and leading others. Being responsible to others and the community. Helping others to develop the same skills. These themes are the foundation upon which we’ve built age-appropriate programs for students beginning in 5th grade, up through high school. Business and individuals that partner with us help make Edge of Leadership programs possible. We work with donors to grow our scholarship fund so that even more young people and educators can benefit from the power of adventure. With your help, we can have a positive impact on our schools, communities, and world, now and in the future.